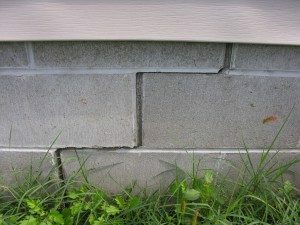 Most home owner’s are not pondering the structural integrity of their homes foundation until some form of settlement indicates there may be a problem. Your home is built on a foundation. The foundation supports the entire structure of the home providing stability for walls, windows, floors, doorways and roof – so when your foundation is damaged, it can cause serious problems throughout your home. 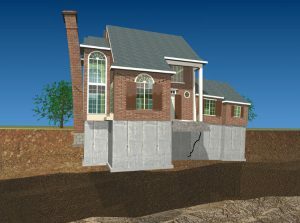 A homes foundation is typically compromised by settlement. 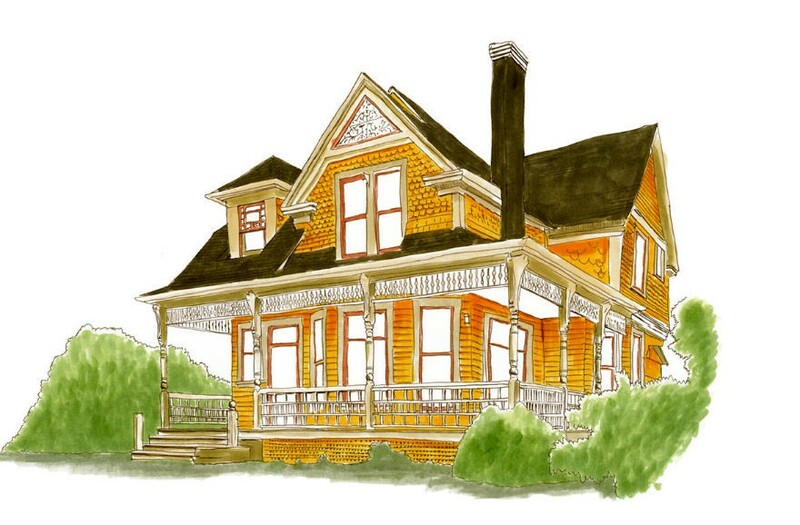 Settlement occurs when the soil the home was built on can no longer support the weight of the house. What Causes Foundation Problems ? 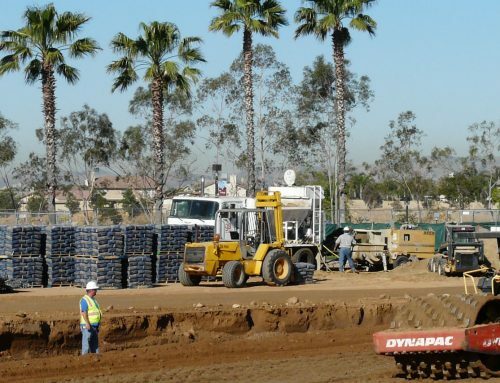 A homes foundation is built into a giant hole in the ground. Before laying the foundation the soil needs to be properly compacted ensuring that it has the strength to support the foundation and the weight of the house. 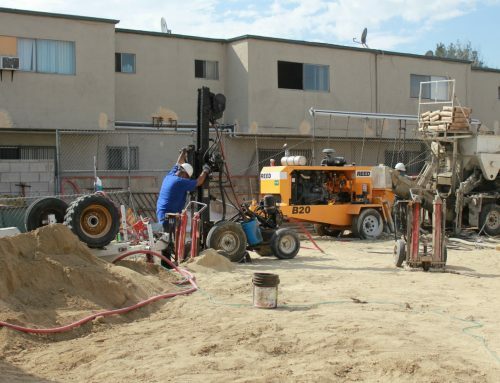 When unstable soils are used as a base for a foundation, the tendency for movement is transmitted to the foundation. Since soil movement is rarely uniform, the foundation is subjected to a differential or upheaval. This condition is visibly recognized as settlement. 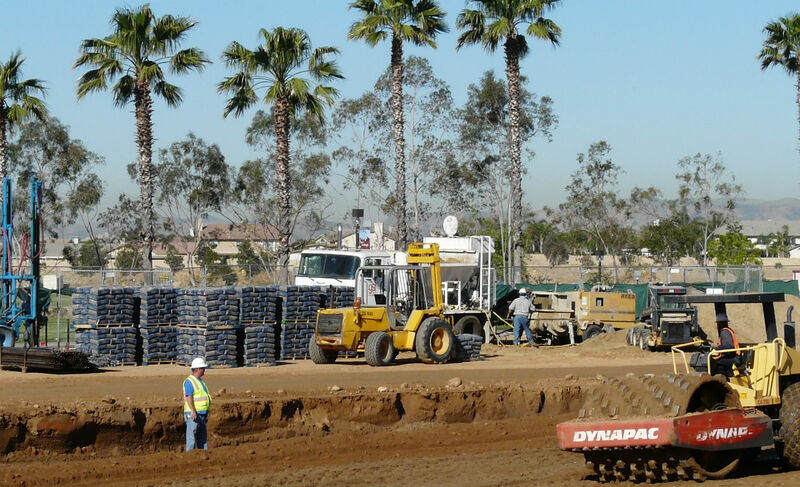 Aside from improperly compacted fill soils moisture is the basic culprit in the vast majority of soil expansion events that lead to the settlement of a homes foundation. Becoming aware of and spotting the early warning signs of foundation damage can help you protect your most valuable asset from irreversible damage. The most common sign of poor drainage is water pooling and forming swampy areas near a home’s foundation; another indication is a damp or leaky basement. Poor drainage can occur as a result of clogged or damaged gutters, or because the land surrounding a home isn’t properly graded away from the structure. Large trees can cause foundation problems as roots grow through the soil underneath the home. The intruding roots can exert significant pressure on under-slab water pipes and basement foundations. They can also leech moisture from the ground, causing soil to contract away from the home. Foundation problems left unchecked will continue to grow into bigger problems creating more costly future repairs and decreasing the value of your home. Foundation problems need to be repaired correctly — and sooner rather than later. Foundation repair is not a do it yourself project. 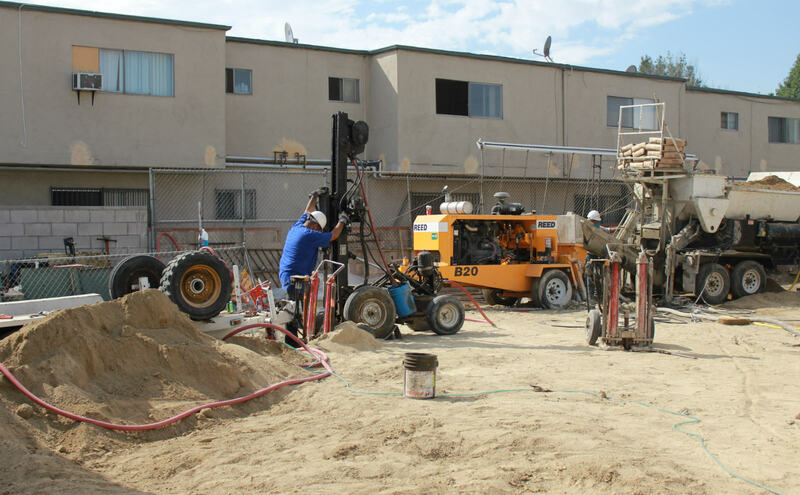 Foundation repair needs to be done by a foundation repair expert, with engineering and industry experience, extensive training and special equipment. 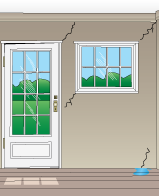 Foundation repairs can be very complicated, expensive and confusing. Multiple contractors may provide differing opinions after assessing your home’s needed repairs. A certified repair specialist can inspect your home to determine the extent of damage and provide a foundation repair estimate. A competent engineer should perform a thorough visual investigation of the structure making notes of structure movement. Foundation repair is considered a structural modification and most municipalities require that a building permit be issued before any work begins. The issuing of a building permit helps to ensure that the contractor completes the repairs in accordance with current building codes. Take the time to take note of the condition of your homes foundation and do not hesitate to seek expert certified opinion in the event that signs of foundation settlement become apparent.